Cardstore - All Valentine's Day Cards Just $2.49! 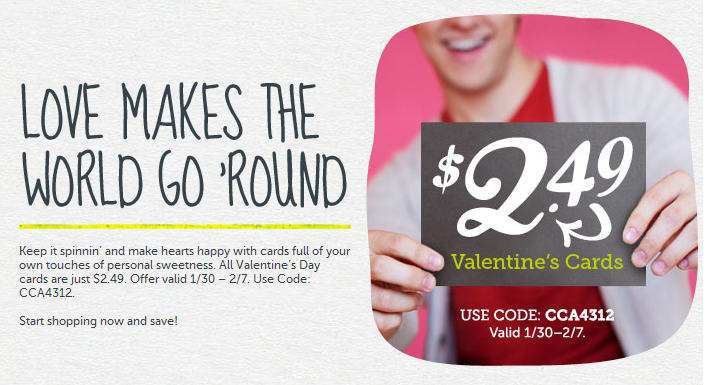 All Valentine’s Day cards are just $2.49 at Cardstore.com. Use promo code CCA4312. Offer valid through 2/7. Get this Cuisinart 8-Cup Food Processor in Black Matte for just $69.99 TODAY only, while inventory lasts! (retail $120) Includes FREE shipping to home. Provides ample room for ingredients, so you can easily prepare enough food to serve friends, family or other guests. Keeps the contents of the food processor contained. A feed tube makes it easy to insert food. Offers step-by-step instructions for tasty results. I like to use my food processor to make hummus, salsa and to do chopping of vegetables for meal prep. Today ONLY you can save $10 on your $30 purchase at World Market with the coupon code: 10FEB30 at checkout! And of course check out the Valentines Day Items! 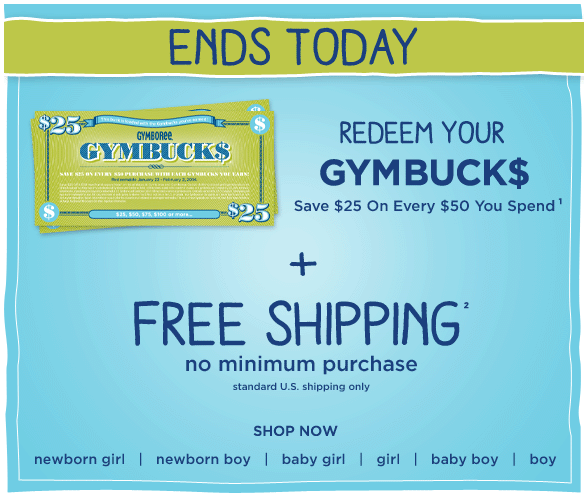 Gymboree - FINAL DAY for FREE Shipping & Gymbucks Redemption! Today is the FINAL DAY to get FREE shipping from Gymboree with your online purchase, no minimum required! Plus, if you have Gymbucks now is the time to redeem them! SHOP NOW! Make sure to check your favorite Parenting magazines for valuable 20% off coupons! FREE standard U.S. shipping offer valid for orders placed on 1/30/14 from 12:01 a.m. ET through 2/2/14 11:59 p.m. ET and is applied to all orders automatically. Gymbucks redemption ends February 2nd, 2014.